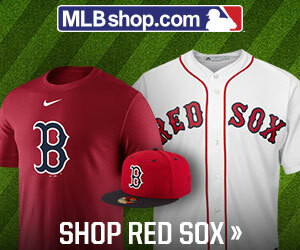 BOSTON – The Boston Red Sox lost the first game of their “Day/Night” doubleheader this afternoon by a 7-4 margin. The clubs meet again at 7:10pm with the Sox throwing RHP Hector Velazquez against Detroit’s Spenc er Turnbull. Old “Mother Nature” put a one-day delay to the start of Boston’s longest homestand of the season at Fenway Park . After Boston opened 6-13, the defending World Series champion Sox picked up three straight wins at first-place Tampa Bay, surviving a 4-3 contest in 11 innings in Sunday’s series finale. “That was a big three wins,” left-hander David Price told reporters Sunday. “We know the type of team we have in this clubhouse, and I think we showed that these last three days.” The Tigers were rained out for the second time in the last three days but managed to sandwich a 4-3 victory over the Chicago White Sox on Sunday for their second win in three tries. Turnbull remained winless in eight career games (seven starts) despite limiting Pittsburgh to one unearned run in six innings Wednesday. The University of Alabama product has 24 strikeouts in 21 innings this year while holding opponents to a .247 average. Turnbull will be facing the Red Sox for the first time. Velazquez will be making his third start of the season and his seventh appearance overall. He has allowed two runs in 10 1/3 innings over his last five outings while yielding eight hits – all singles. The 30-year-old has pitched three scoreless innings of relief in his career against Detroit. 1. Boston RHP Nathan Eovaldi had successful to remove loose bodies in his right elbow, a procedure that cost him two months of action last year and will sideline him at least six weeks from today. 2. Red Sox RF Mookie Betts is 7-for-16 over his last four games after going 3-for-32 in his previous 10. 3. Tigers 2B Josh Harrison went 2-for-4 with a double and two RBI in this afternoon’s opener. Previously, he went 0-for-4 with two strikeouts in Sunday’s win and was 9-for-74 with 17 strikeouts on the season. NEW YORK – Red Sox SP Nathan Eovaldi underwent successful right elbow arthroscopy and loose body removal today. The surgery was performed by Dr. Christopher Ahmad at New York-Presbyterian Hospital. Eovaldi is expected to make a full return to pitching within six weeks. BOSTON – The Boston Red Sox vs Detroit Tiger game scheduled for tonight has been postponed. On Tuesday the Sox and Tigers will play a day-night doubleheader, with the make-up game set for 1:00pm and the regularly scheduled game at 7:10pm Tuesday. The Sox are coming off their first series sweep of the season after taking three at the Tampa Bay Rays over the weekend and hope to carry that momentum home. The Red Sox begin a 10-game homestand by hosting the Detroit Tigers in the opener of a four-game series. Boston’s offense is still moving in fits and starts and needed 11 innings to squeeze out a 4-3 victory on Sunday, the second straight one-run victory and the third consecutive game in which the pitching staff squandered a lead while the offense failed to build on an advantage. The Red Sox are 13th in the American League in runs scored (93) and 14th in runs allowed (131), but reigning MVP Mookie Betts seems to be breaking out of an early slump after going 6-for-12 in the three games at Tampa Bay. The Tigers took two of three from the Chicago White Sox in a rain-shortened series over the weekend and escaped with a 4-3 victory on Sunday after nearly squandering a four-run advantage. The Tigers will send surging left-hander Matthew Boyd to the mound in the opener while Boston hopes for a turnaround from ace Chris Sale. Boyd turned in a quality start in each of his last three outings and limited the Pittsburgh Pirates to three runs on six hits in seven innings on Tuesday. The 28-year-old owns 36 strikeouts in 24 1/3 innings while issuing seven walks and surrendering one home run. Boyd went 1-1 with a 2.38 ERA in two starts against Boston last season, with the victory coming at Fenway Park. Sale continues to get knocked around and was reached for four runs on seven hits over five innings at the New York Yankees on Tuesday. “I’ve gotta find a way to pitch better,” Sale told reporters after the latest setback. “This is flat-out embarrassing for my family, for my team, for our fans. It’s about as bad as it gets. I have to pitch better. … Gotta cut it off when we’re losing and keep the winning streaks going. That’s not who I’ve been.” Sale breezed through six scoreless innings in his lone start against Detroit last season, allowing two hits and striking out nine. 1. Red Sox DH J.D. Martinez has hit safely in 21 of the first 22 games, including the last 11. 2. Detroit 1B/OF Brandon Dixon went 2-for-3 in his season debut on Sunday. 3. Boston 1B Mitch Moreland homered in two of the last three games and leads the team with seven. BOSTON – The Boston Red Sox finally gained some momentum on the road over the weekend, only to have Mother Nature delay the start of their longest homestand of the season. The Red Sox and visiting Detroit Tigers will make up for Monday’s postponement when they tangle in a day-night doubleheader Tuesday to begin a four-game set at Fenway Park. After Boston opened 6-13, the defending World Series champion picked up three straight wins at first-place Tampa Bay, surviving a 4-3 contest in 11 innings in Sunday’s series finale. “That was a big three wins,” left-hander David Price told reporters Sunday. “We know the type of team we have in this clubhouse, and I think we showed that these last three days.” The Tigers were rained out for the second time in the last three days but managed to sandwich a 4-3 victory over the Chicago White Sox on Sunday for their second win in three tries. They will start Matthew Boyd in the matinee and Spencer Turnbull at night while the hosts go with struggling ace Chris Sale and Hector Velazquez, respectively. Boyd has three straight quality starts and lasted a season-high seven innings last Tuesday in a no-decision against Pittsburgh, allowing three runs and striking out seven. He has 36 punchouts in 24 1/3 innings on the year while allowing just one home run. Mitch Moreland is 5-for-16 with a homer and three doubles against the 28-year-old Boyd, who won his only prior career start at Fenway with 6 1/3 solid innings. Sale’s four straight losses out of the gate are tied for the longest losing streak of his career and also match his entire total for 2018 when he finished 12-4. He gave up four runs in five innings at Yankee Stadium last Tuesday, although he did strike out a season-high six while walking one. The Florida native tossed six scoreless innings in his only meeting with the Tigers last year and is 10-8 with a 2.94 ERA in 32 career matchups (22 starts). 1. Boston RHP Nathan Eovaldi reportedly will have surgery to remove loose bodies in his right elbow, a procedure that cost him two months of action last year. 2. Red Sox RF Mookie Betts is 6-for-12 over his last three games after going 3-for-32 in his previous 10. 3. Tigers 2B Josh Harrison was 0-for-4 with two strikeouts in Sunday’s win and is 9-for-74 with 17 strikeouts on the season. ST. PETERSBURG – Christian Vazquez hit a tiebreaking sacrifice fly in the top of the 11th inning as the Boston Red Sox edged the Tampa Bay Rays 4-3 on Sunday to complete a three-game road sweep. The Red Sox rallied against Rays reliever Jose Alvarado (0-2) for the second straight game. Boston, which entered the series last in the American League East, extended first-place Tampa Bay’s first losing streak of the season to three. Marcus Walden (3-0) struck out two in two innings of relief for the win, and Ryan Brasier earned his third save in three days with a 1-2-3 bottom of the 11th. Boston was ahead 3-2 in the eighth before Tommy Pham, who was picked off first base to end Saturday’s loss, launched a solo home run off Matt Barnes to knot the score. The Red Sox were down 2-1 before taking the lead with a sixth-inning rally. Mookie Betts chased Rays starter Tyler Glasnow with a one-out single, and Steve Pearce and J.D. Martinez each walked to load the bases for Xander Bogaerts, who stroked a pitch from Rays reliever Chaz Roe the opposite way to right-center for a two-run single. Glasnow gave up two runs on three hits and three walks with five strikeouts in 5 1/3 innings. The Rays struck first in the bottom of the third inning. After giving up back-to-back singles to open the frame, David Price punched out the next two he faced before Daniel Robertson lined a double to right-center to score both runners for a 2-0 Tampa Bay lead. Boston countered in the top of the fourth with a Mitch Moreland solo home run, his seventh of the season. Price struck out 10 in his five innings, giving up two runs on five hits and two walks. Betts had two hits in the contest, his third straight multi-hit game. Martinez singled to extend his hitting streak to 11 games.